Today we are supporting National Voter Registration Day. If you've not yet registered to vote, go on-line now to register at www.gov.uk/register-to-vote. Your vote matters!!! Make sure you're in!!!! Want to do something positive for your local community? 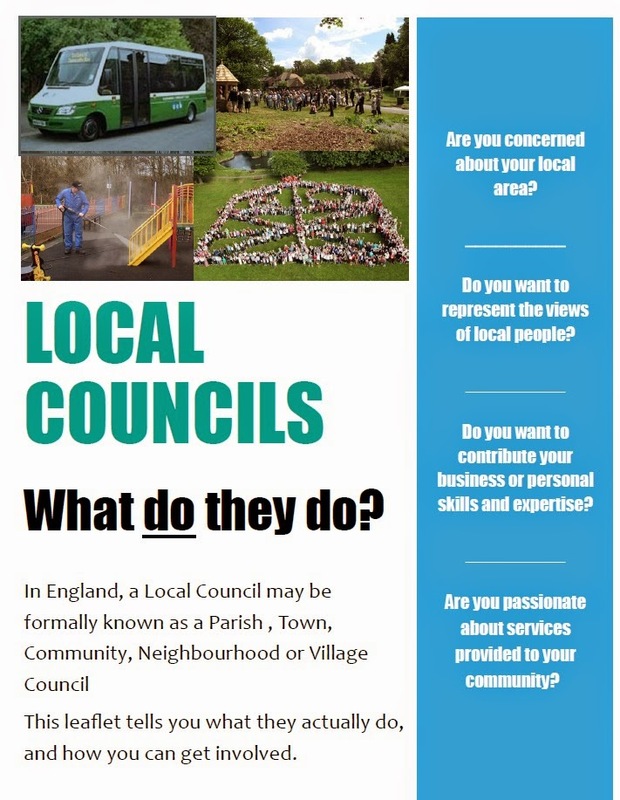 Ever thought about becoming a local Parish or Town Councillor? 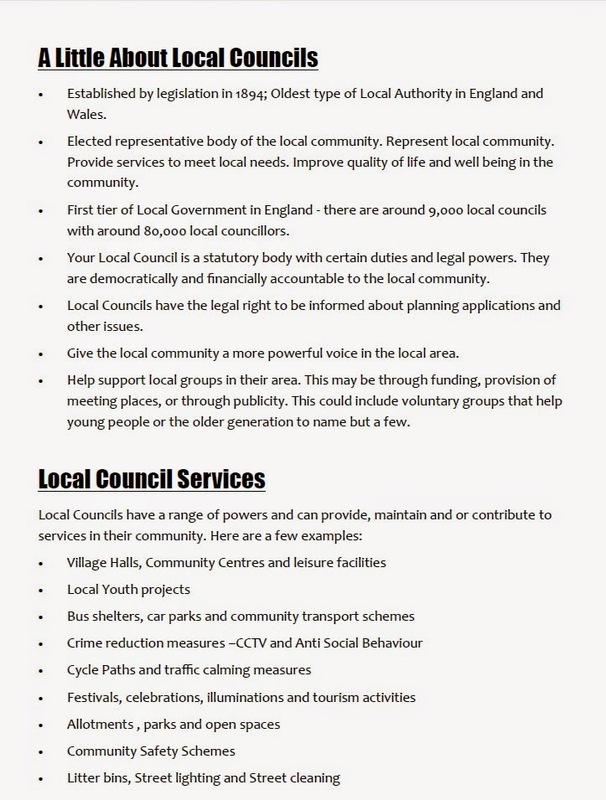 Local Councils are the first tier of Local Government working at grassroots level and therefore closest to its local community. They raise a precept from the local community and work towards improving community well-being and providing better services at a local level. Help make a difference by influencing decisions that affect your community! 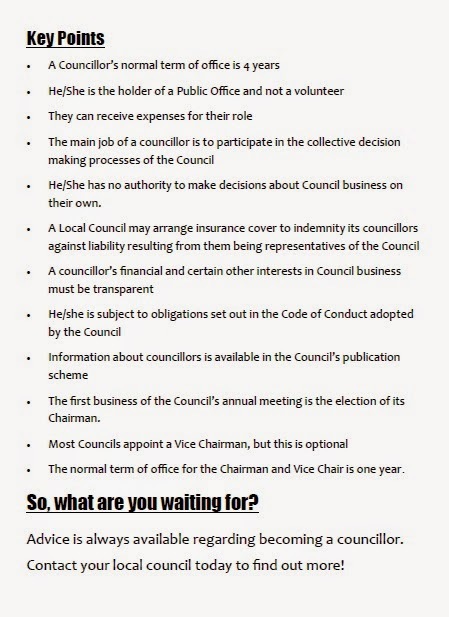 Please visit this blog again before the end of December as will be organising a series of short awareness events around Kent and Medway, from January until April 2015, to explain what Local Councils do and to encourage you to stand for election next May. Further details will follow shortly. 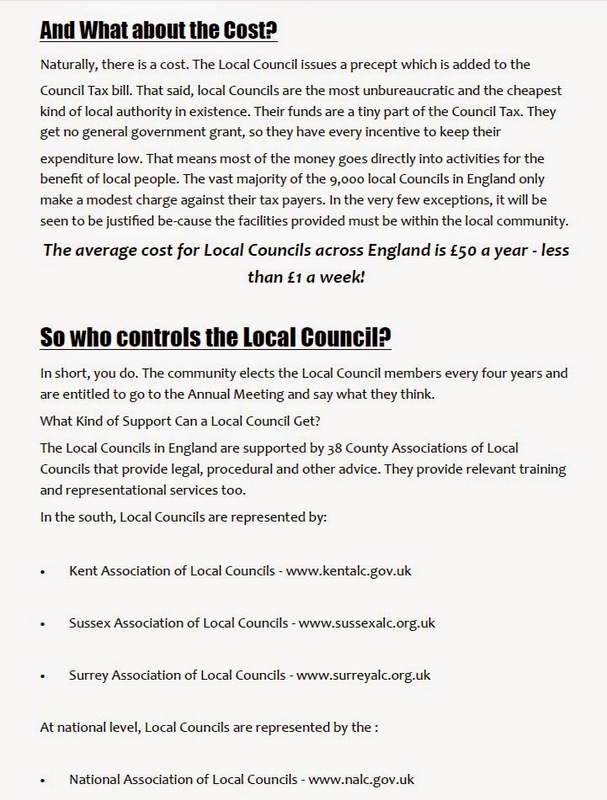 The Kent Association of Local Councils (KALC) is a not for profit membership organisation serving member Parish and Town Councils and Parish Meetings in Kent. Our membership is currently 298 out of a total of 314. Membership is open to all Parish and Town Councils and Parish Meetings in Kent for a subscription agreed at the Annual Meeting. Want to do something positive? Help make a difference? Our plans to support local Councils in their desire to encourage the local community to take an active part in decision-making where they live. Decisions that affect their community. 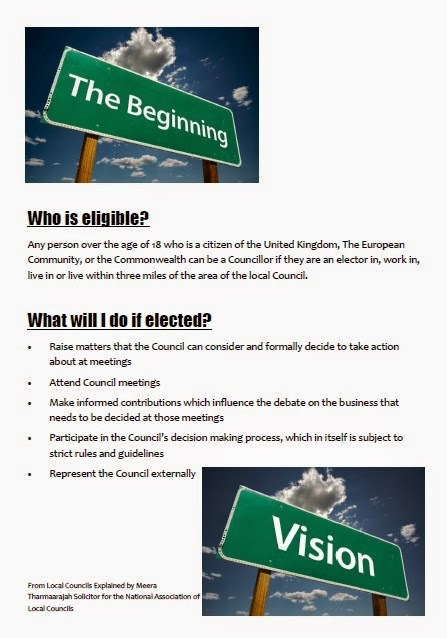 Have you thought about standing for election to become a Councillor? Are you concerned about your local area? Do you want to contribute your business or personal skills and expertise? Are you passionate about services provided to your community? We have provided information leaflets and posters to KALC member Councils who we expect to be starting an awareness campaign from the New Year. Please go to the bottom of this blog for an example. Follow this blog to receive updates regularly. 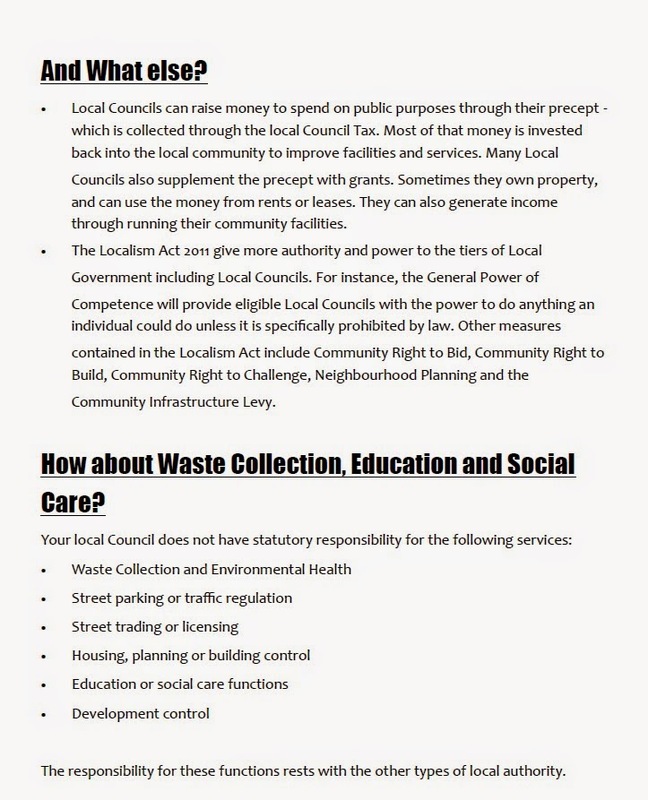 Kent Association of Local Councils (KALC) covers the Kent and Medway area. The Kent Association is a not for profit membership organisation serving member Parish and Town Councils and Parish Meetings in Kent. Our membership is currently 298 out of a total of 314. Membership is open to all Parish and Town Councils and Parish Meetings in Kent for a subscription agreed at the Annual Meeting. 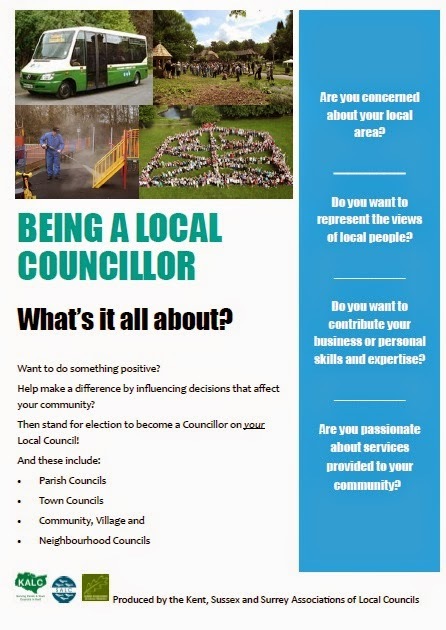 Over the next 6 months we will begin to publish information on "Becoming a Local Councillor" in Kent and Medway in May 2015. Please call back later for further updates.